Even the long arm of the law wants gold plating! 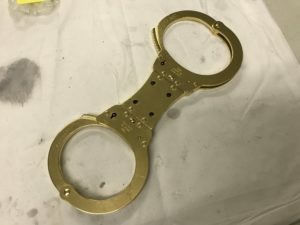 These 24k gold plated handcuffs are a retirement gift. Here at Gold Rush Plating we offer a full range of electroplating services to suit your needs including Nickel, Silver and Rhodium plating.